Victorian hay arrives at sheep producer Les Jones’ Goolhi property in central west NSW last year. Photo – NSW Farmers, Newspix, Sam Ruttyn, Nick Cubbin. 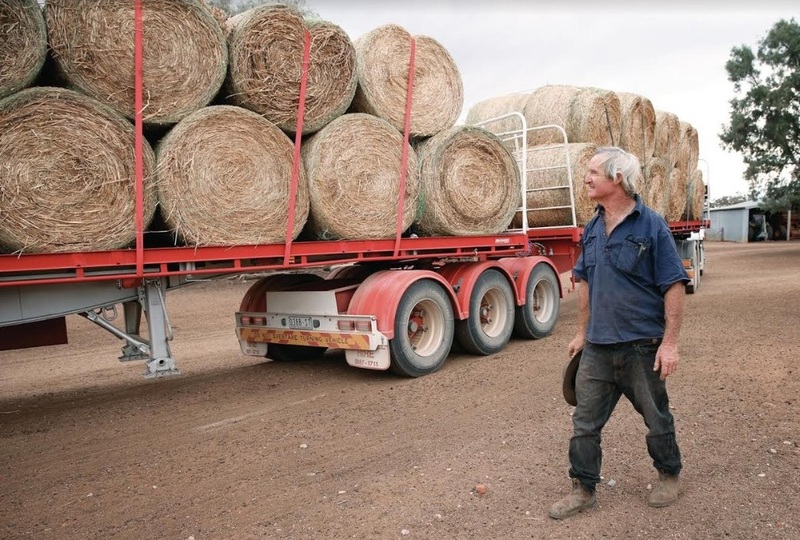 HAY and grain freight costs from Victoria’s Wimmera region to drought-stricken New South Wales and Queensland farmers are expected to reduce after the Victorian road train network was extended. The Victorian Government has extended the road train network in the state’s Wimmera region for the transport of hay and grain to drought-affected areas of New South Wales and Queensland. The NSW Government’s drought transport integrity adviser Derek Schoen said he expected there would be a corresponding decrease in freight costs with the network extension. Before the network extension, road train operators had to decouple additional trailers at the NSW-Victorian border, drive them to the hay/grain pick-up location for loading and then back for recoupling. VFF Grains Group president Ross Johns the extension could reduce freight costs by 20-25 percent. The Victorian Farmers Federation said the VicRoads extension followed months of lobbying.